The first process toward determining if you have Lynch syndrome is to research and document a thorough family medical history. The Office of the United States Surgeon General has a computerized program for the convenience of individuals to complete. It can be printed and provided to our care providers for assessment of not only Lynch syndrome but all hereditary disorders. As well, the program has the capability to upload the documented family history directly to his/her medical record. When you research the health of family members and those who came before us, don’t hesitate to ask questions and be thorough. Note if there were any hysterectomies or any biopsies taken from family members and from where or if t here were any hospitalizations and for what? For those who passed away from cancers, see if you can get a copy of their medical records or A death certificate. If the family history reveals a strong family history of Lynch cancers, (colon, ovarian, endometrial, prostate, gastric tract, pancreatic, ureter, heptobiliary tract, renal pelvic, skin and brain) or early cancers, discuss it with your physician. Ask him to assess your family history to see if you are at risk for hereditary cancer. If he is unfamiliar with assessment, and you can afford the services of a genetic counselor, ask to see one. If not, inform him about the Premm Model 1,2,6, which is approved by the National Comprehensive Cancer Network. It is a very simply family history tool which can determine risk. It has just a few questions about your family history. If the risk is >5%, he may prescribe genetic testing. We cannot stress enough the importance of discussing Lynch syndrome with the family physician who may or may not prescribe consultation with a genetic counselor. A genetic counselor is a very valuable resource who can determine the appropriate test for an individual in the event the physician is uncertain about Lynch syndrome testing. 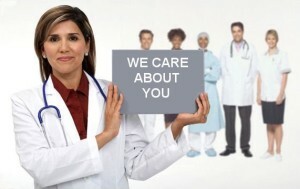 Dependent upon that assessment, blood may be drawn and collected for genetic testing or you may be asked to donate DNA by rubbing the inside of your check with a swab (saliva test) If genetic testing cannot be afforded, resources (see Menu for “Support”) are available in many parts of the world to assist with costs. If a mutation is specifically identified with a family member, the cost of genetic testing is substantially reduced for that specific mutation. If you have this need, please do not hesitate to contact us at (203) 779-5034 and we can help with resources, or if funding is available, with assistance. If an individual has sustained colorectal, endometrial cancer or any other Lynch cancer and has been diagnosed with Lynch syndrome, that individual is referred to as a “Survivor.” Prior to the diagnosis of Lynch syndrome, the tumor of the survivor may have been submitted for MSI testing or IHC testing. This process is basically a pathology test of the cancer to determine if characteristics of Lynch syndrome exist. If those characteristics are identified, guidelines dictate the physician will refer the survivor for genetic testing or consultation with a genetic counselor for consideration of genetic testing of Lynch syndrome. Several major medical associations are calling for universal MSI -IHC testing of ALL colon and endometrial cancer tumors as a basic standard of care. It is becoming popular as a secondary means of testing for those who have an active cancer. If an individual has not sustained a Lynch cancer and has been diagnosed with Lynch syndrome, that person is referred to as a “Previvor.” This means the diagnosed individual is at high risk for Lynch cancers and will need to participate in annual surveillance testing in the same manner as is afforded to survivors, in order to detect tumors before they become cancerous or metastasize into the body. This annual surveillance and management for Lynch syndrome is a gift as early detection of cancers allows us to obtain early intervention through early treatment of the cancer or removal of polyps before they become cancerous and often before the cancer becomes life threatening. It is very possible many of our previvors will never experience a full blown cancer. Genetic testing and annual screenings are the closest thing to a cure, for us.